A tribute to you sir, a political icon like none other in Nigeria, is the best an admirer of your core values and vision can really give. 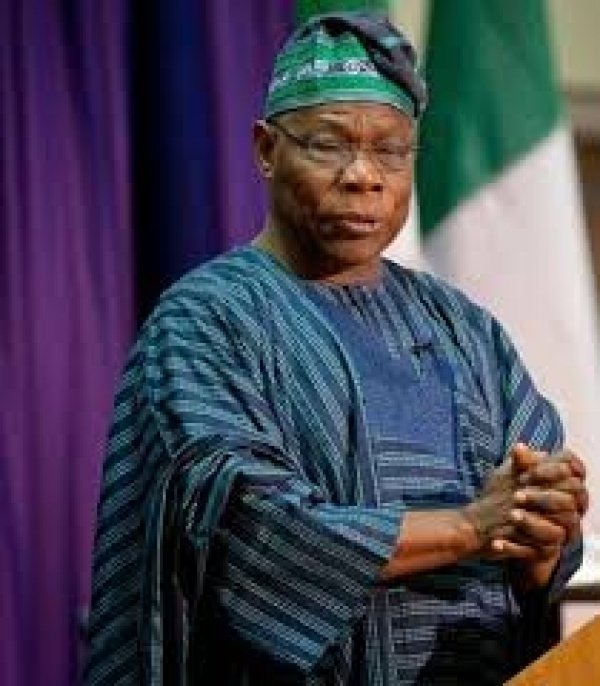 Chief Olusegun Obasanjo, popularly referred to as 'Baba Iyabo' (Iyabo's father) in Southwest Nigeria, has served this nation as Head of State both in his military capacity and as a political office holder. Underrated, persecuted and always criticized - you have endured more than a million things. You never asked to be Head of State nor planned a coup, power came to you as destiny willed upon the fateful departure of Late Gen. Murtala Mohammmed - a good man who fell at the hands of cowards and evil men whom we entrusted with our military uniform. "Power corrupts, absolute power corrupts absolutely". But how you defeated gainsayers and handed over peacefully, to a democratic government defeats the logical reasoning of an average African man that would cling to power till death comes. Your sacrifice has been overlooked and trod upon like a wasteful bash of paper. However, not in my heart, not in the hearts of those who truly value the pace you set. Did you have your flaws? Yes sir. You did. It was even more obvious because you were the leader. But let him that is without flaws be the first to cast a stone at you. You broke off more shackles of neo-colonialism as you empowered more Nigerians. You stood defiantly, tall, eye to eye against intimidators and said never again will Nigeria be toyed with. You destroyed their strongholds when you took economic power from them and made indigenization of the economy a decree in 1977. You fought tooth and nail to maintain our independence from political racketeers and hijackers and gave the country a constitutional democracy. Now, you are blamed for the Shagari regime - dividends of ensuring peaceful transition to a Presidential and more befitting federal system which lay the groundwork for what we have today. People who give your excellency a bad name should ask Cameroonians about Paul Biya or Syrians about Assad. Twenty years later, you had to come and fix the cantankerous corrupt system the Babangida and Abacha regimes had instituted. This time, not in the military uniform but in the style and vision you always had - an 'agbada' of democracy. An indigenous style that you took with you to the general assembly of nations. A message to all and sundry that Africans have our own style. It was never about the cloth, but the symbol. I saw it, and I respect it. We may talk, we may complain about the things you did not do or that which you did wrongly. But I am here to eulogize your sacrifices to do the right things. Your vision and loyalty for an independent and united nation. Those that have complained have not found someone better at leadership than you. You walked into the dreaded Sambisa forest even when you were no longer Mr. President. What loyalty! We may not recognize it now but are forever indebted to you sir. I have the great honor reintroducing a political revolutionary to the world with my words: Chief Olusegun Obasanjo.